OK I will admit it - I Love Pinterest. I have saved things on Pinterest for quite a while now, but since my right arm has been out of action I have had lots of fun just browsing all the stuff out there. It is just amazing what you can find on the Internet. Ideas on any subject you could possibly think off. And don't get me on tutorials, wow! No matter what you would like to learn to do, it is out there just waiting for you to find it. Now being a crafter to anything, is probably the reason why I have lots and lots of tutorials saved on my Pinterest. So with my current train of thought of making the most and enjoying what I have hiding in your life, I have decided to actually make some of the things I have saved in my folders. I'm not saying I will get something made every week, but I am going to try and post on one of my craft adventures each Wednesday. Today my crafty update is is totally impractical but fun and is now decorating my dining table for a little while. First up I had to collect some Autumn (Fall) leaves. This turned out to be quite funny. I was just leaving one of Melbourne's major hospitals with Shane and Susan. I hadn't told them what I was intending on doing, I just told them to keep walking and I would catch up. 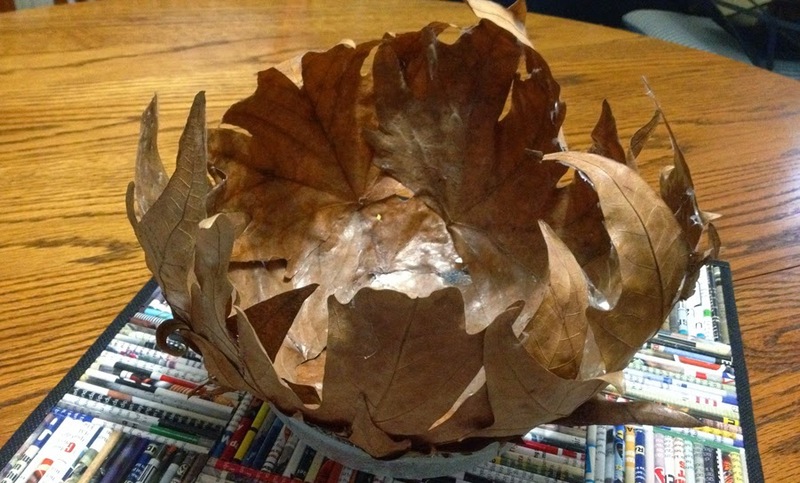 Then I started collecting some leaves that were still as whole as I could get. I think they thought the pain killers I have been on had finally flipped me out. 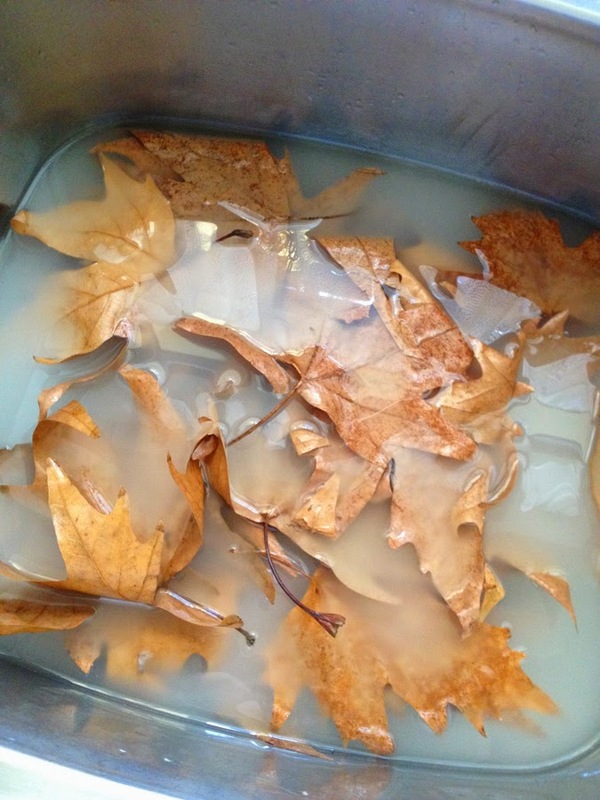 When I got home I soaked the leaves in some warm water. One to clean them and two so they were a bit more flexible. 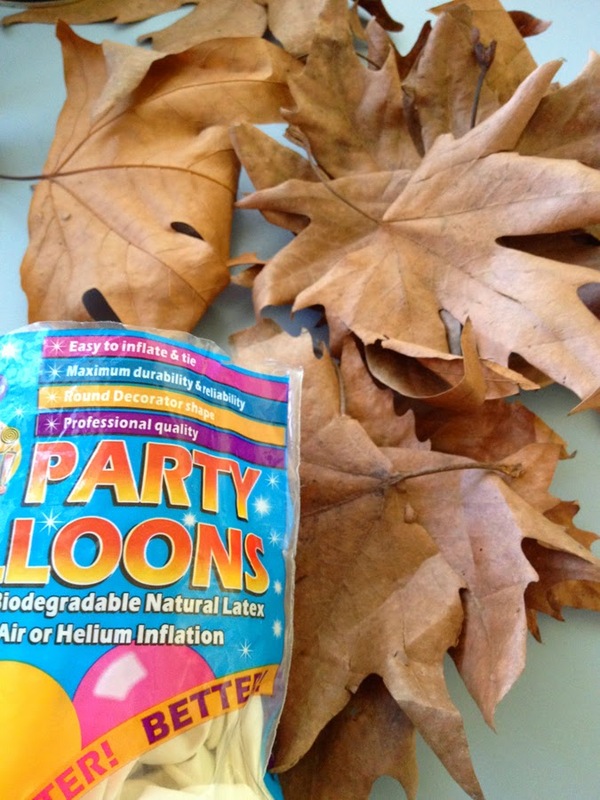 Then I blew up a balloon and rested it in a bowl. 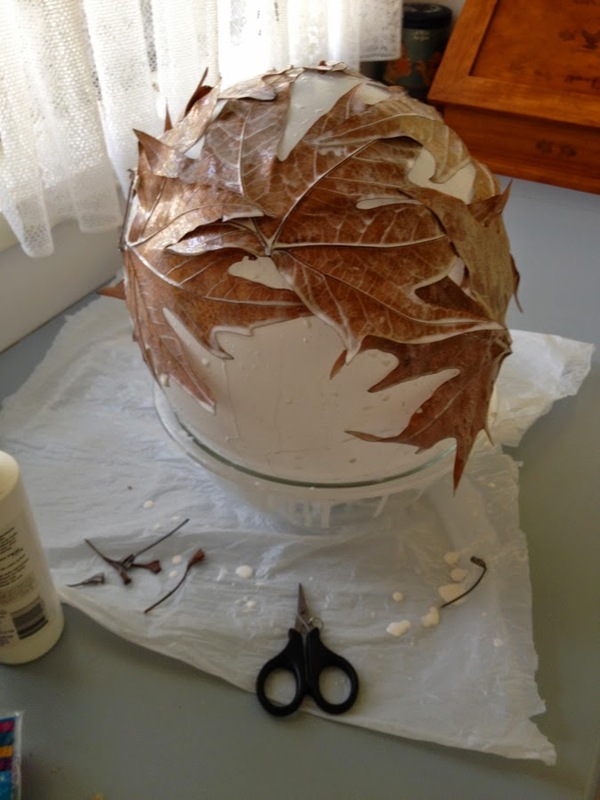 Then I proceeded to paint each leaf with a water based glue and stick then around the base of the balloon and about half way up. Making sure I had them overlapping each other so they would hold some sort of shape. 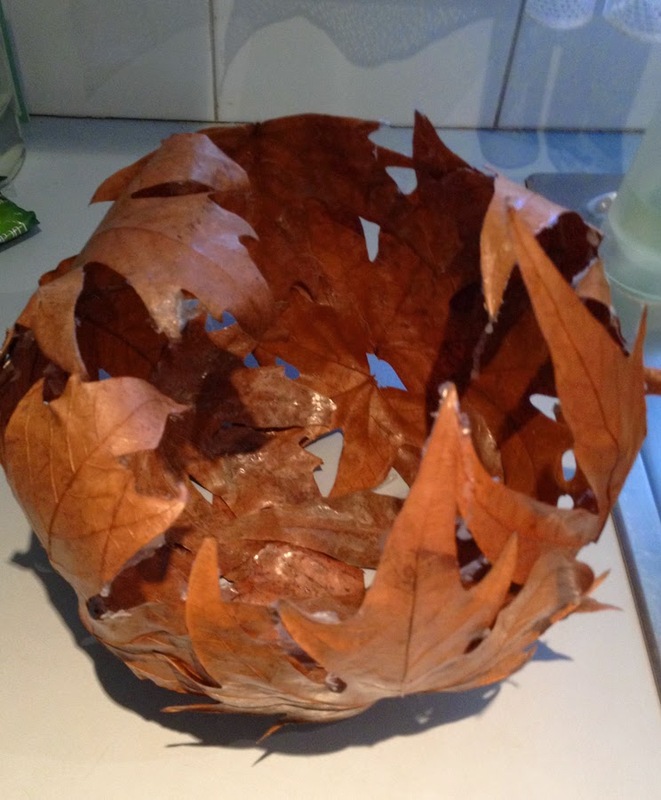 The first one I did wasn't really a success as I used way to much glue and when it dried it looked as though it was covered in cobwebs. Lets see how my second attempt goes? 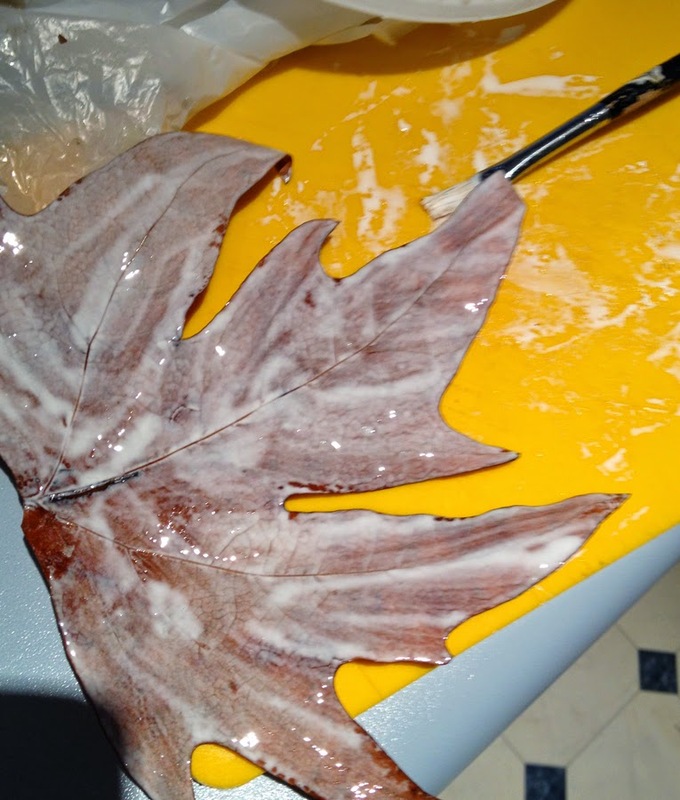 After leaving it to dry for around 24 hours, I burst the balloon, which came away from the leaves very easily. Luckily the base was flat enough to sit on the table. But if it hadn't been I would have just Blutacked it down. As I mentioned first up, it's pretty impractical, you can't put anything in it and it won't last forever. But I like it and it's nice to have a little bit of nature in a different form on display.